Here’s a shopping guide featuring charming locally-owned shops, fun clothing lines, as well as sophisticated finds that are favorites among Mauna Lani Resort residents. A short 10-minute drive from Ke Kailani, Queen’s MarketPlace is considered “the gathering place” for Kohala Coast residents. This family-friendly shopping center features boutiques, shops, and eateries where you’ll find a mix of upscale and affordable clothing with Hawaiian roots. With a promise to “live the aloha lifestyle,” Blue Ginger offers tropical resort clothing for women, men, and kids in cool, soft fabrics that are custom made for Hawaii’s easy going lifestyle. Here you’ll find sundresses, aloha shirts, caftans and swimsuit cover-ups featuring Hawaiian flowers, notably the ginger whose bold blue is a signature hue across the shop’s apparel. From hats, shorts, luggage, backpacks and watches to flip flops, Kona Surf N’ Sandals is a one-stop-shop for surf wear and accessories. The store carries the island’s largest selection of Sanuk and Reef footwear, as well as Dakine gear — a surf and ski label founded in Hawaii in 1979 — and it’s the perfect place to pick up a new pair of slippahs. For more than 40 years, Local Motion has thrived as one of Hawaii’s favorite local surf shops. It captures the essence of island living with a fresh, casual approach to comfortable clothing. T-shirts, tanks, shorts, and accessories are featured. Kona Surf N’ Sandals carries an excellent selection of Dakine, an internationally recognized surf and ski label founded in Hawaii in 1979. Photo by Artem Bali from Pexels. Mahina is a women’s clothing store that specializes in fashion-forward pieces effortlessly blending casual island living with sophisticated design. Founded in Maui in 2006, Mahina was voted best boutique on the Valley Isle for seven years, no doubt a nod to its colorful sundresses, tops, and “subtle-yet-striking” accessories. 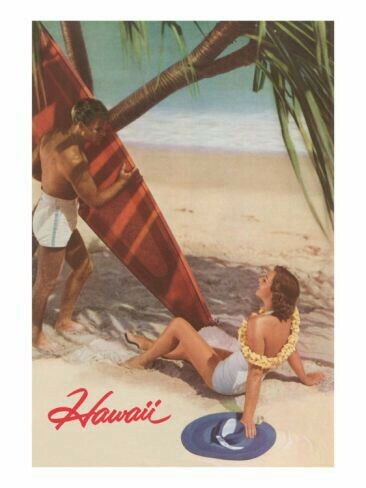 For authentic vintage Hawaiian apparel, look no further than Malibu Shirts, a cross between museum showcase and clothing store. It features a collection of vintage men’s, women’s and children’s clothing and accessories, as well as artifacts that tell the story behind the clothing now on the shelves. This location is also home to one of the Big Island’s best vintage skateboard collections spanning from the 1950s to 1970s. Malibu Shirts is a cross between museum showcase and clothing store that features vintage clothing and accessories. This image was acquired from Flickr. This is the place for unique made-in-Hawaii fashion, accessories, jewelry, bath, and home. This is the second store by owner-operator Audrey Frydenlund whose Etsy shop exploded after she started sharing her passion for jewelry. Olivia Clare Boutique showcases Frydenlund’s original gemstone, pearl, seaglass, and other jewelry, as well as aloha wear for men, women and children, bath and body products and fragrances made from island ingredients, plush beach towels, delicious food products and more. This resort retail destination – located across the resort entry road from the Queens MarketPlace – is home to high-end luxury boutiques such as Coach, Louis Vuitton, and Tiffany & Co., as well as some iconic Island restaurants, including the ever popular Roy’s by celebrity chef Roy Yamaguchi. You’ll find a number of locally owned art galleries and shops here as well. Making Waves features the best selection of swimwear and accessories in Hawaii for women sizes up to 28 as well as children’s sizes. Stunning Pacific island prints on natural fabrics are offered at Noa Noa, a one-of-a-kind luxury boutique with clothing for men and women. It’s a fabulous place to discover comfortable, yet beautiful styles featuring ethnic designs from around the world. Tori Richard is a Honolulu-based resort wear company known for vibrant colors and artful patterns proudly manufactured in Hawaii for more than 60 years. With hand-designed women’s, men’s and children’s aloha shirts, dresses and accessories, this is a high-end Hawaiian print paradise. Rich in vibrant color and artful patterns, Aloha shirts are a men’s fashion staple in Hawaii and many designers proudly manufacture their pieces in Hawaii. Photo by Priscilla Du Preez on Unsplash. And, of course, for Ke Kailani residents there are a plethora of casual and fine dining experiences, as well as fabulous art galleries and boutiques, located on resort property at The Shops at Mauna Lani! Among them Tommy Bahama retail and restaurant, Henderson Design, Oasis Living, Dimensions Gallery, Hawaii Beach & Golf and Hawaiian Island Creations. I encourage you to explore them all!